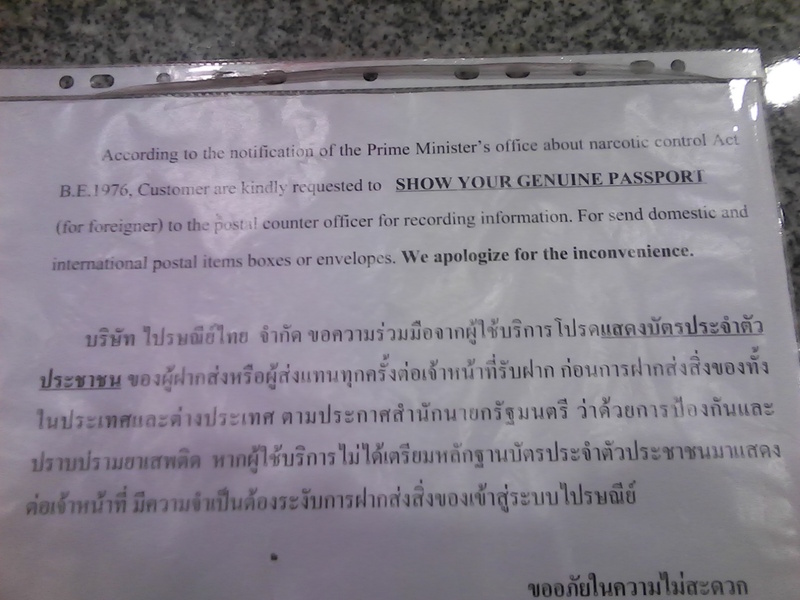 There is a new policy at the Thai Post Office for ALL senders of letters and parcels. The reason is reportedly to catch drug dealers, and there have been some cases in that regard previously. Thai citizens must show their ID card for recording of ID number, and foreigners must show their passports for recording of their passport number. This new policy is not currently enforced at every post office, but it’s just a matter of time until it is. This doesn’t affect our blog, so no worries, but it’s not hard to see where this is going. Businesses or individuals shipping a lot of parcels will be easily detected for further checking. It’s not time to panic yet, but this trend is not a good one for the many people who rely on these products for their health.